Khargo Halloween Market has returned to Yellowstone Falls. 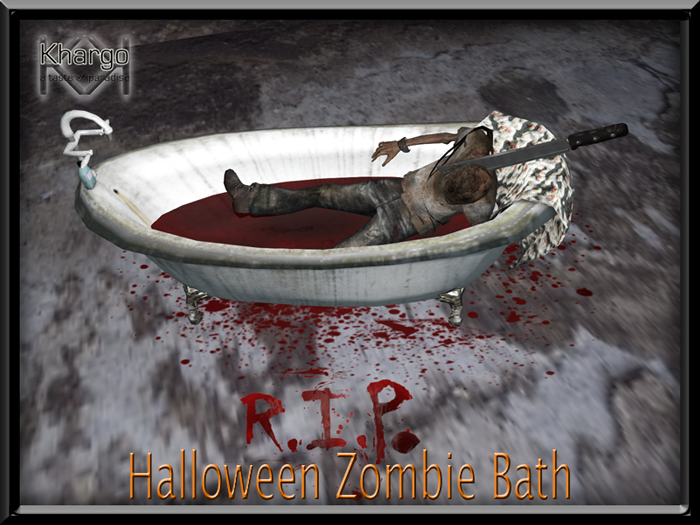 This year we are preparing for the zombie apocalypse with gruesome new mesh landscaping items. Freak out your visitors with this frankly grotesque zombie doctor landscaping decor. 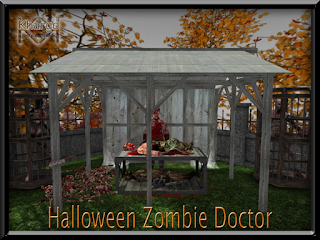 Includes zombies, chainsaw, knives, bodies, bones and of course a mad scientist doctor! There is something nasty in the garden shed! 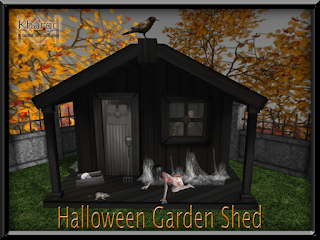 The Halloween Garden Shed has some surprises lurking to scare the unwary. AVAILABLE IN WORLD OR ON THE MARKETPLACE FOR MY 60L SECRET THIS WEEKEND ONLY! Time for a Blood Bath! 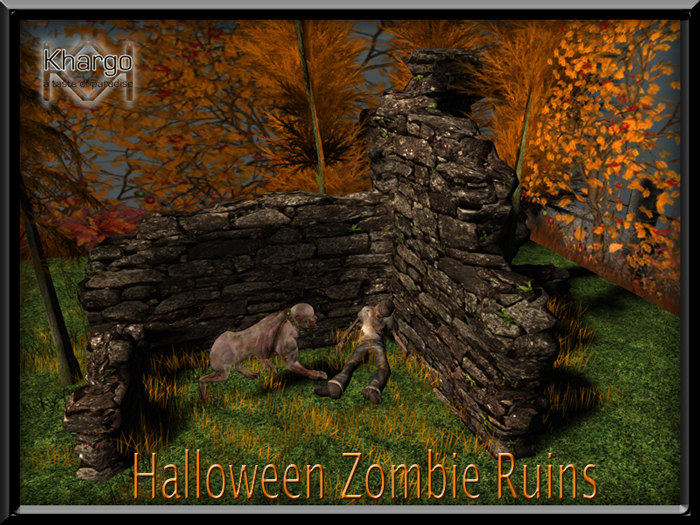 Bring the Horror to Halloween with the Zombie Ruin. Dead zombie meets mutant dog man. Is it a warning to stay away - or dinner? 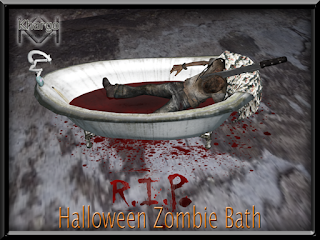 See these items and our other creepy creations in world at our Halloween Market!